Book only. Edited by Larry Teal. Woodwind Solo. Classical. Book only (softcover). With solo part and piano accompaniment. 101 pages. G. Schirmer #ED2599. Published by G. Schirmer (HL.50330580). The pieces in this collection have been selected for their musical value, and for their adaptability to the style and limitations of the instrument. These compositions may be used both as study pieces and in concert performance. Accompaniment CD available separately - see item 50490433.
. 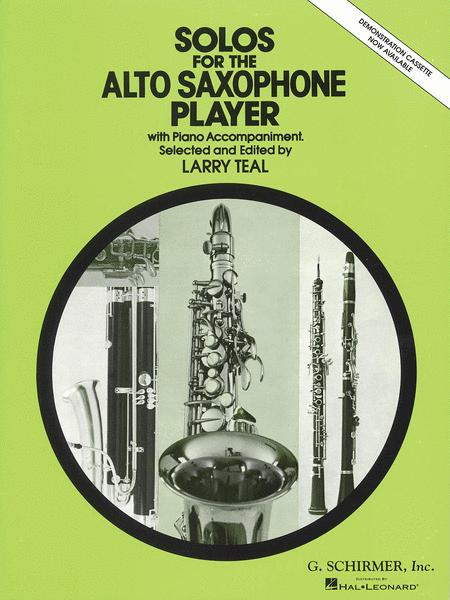 This is a great collection to get a sax music library started. 37 of 75 people found this review helpful. October 09, 2008 I like it. I really enjoy this book. It has music at various difficulty levels, so it's suitable for several levels of playing ability. It includes music from a few of the best known composers; the only downside is that almost everything is a transcription. But, I enjoy it. 46 of 80 people found this review helpful. of music. 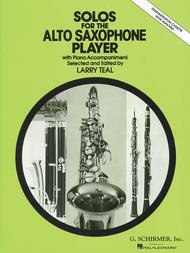 There is also a tenor sax version with more great pieces by great composers. 49 of 96 people found this review helpful.